When it comes to routine auto maintenance there is one service that your vehicle is going to require much more frequently than any other, which is the oil change. For most cars and trucks and oil change and oil filter replacement is necessary every 3,000 to 5,000 miles, but it can vary based on your particular make and model. Check your owner's manual to find out when your car is due and then be sure to visit an auto maintenance facility for service when it is time. It is important that you don't put off oil changes, as they perform several important functions for your vehicle, including the following. The engine needs fresh oil to ensure that all of its moving parts are properly lubricated. As oil ages it loses its lubricating abilities, mostly because it becomes gunked up due to the extreme operating conditions and debris that makes its way in the engine. If the moving parts of the motor are not properly lubricated they will suffer from increased friction, which results in excessive wear and tear. As mentioned, the oil will turn into a gunky like substance. This is in part because it collects debris and contaminants such as dust and minor metal particles. This gunk will slow down engine operation, resulting in decreased performance. As you may have guessed, by draining out the old oil and changing the oil filter you can remove the unwanted gunk from inside the engine. Ridding the motor of this stuff will allow the engine to run as designed, meaning you will get peak performance from your car's motor, including the highest gas mileage. Another side benefit of the oil change is that it allows technician to get under your vehicle in order to give it a solid onceover. By completing a quick visual check the technician can identify many potential issues that could otherwise go missed. 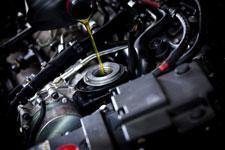 When you car is due for an oil change be sure to have it completed, or else you run the risk of major engine damage. For a professional oil change in Sacramento head to Freeport Automotive, We offer dealership style auto maintenance for all makes and models. Give us a call at (916) 389-2405 to request an appointment for quality auto maintenance in Sacramento.